Sopron, a city nearby the Austrian-Hungarian borders, is already preparing for the beginning of next summer. Wondering why? 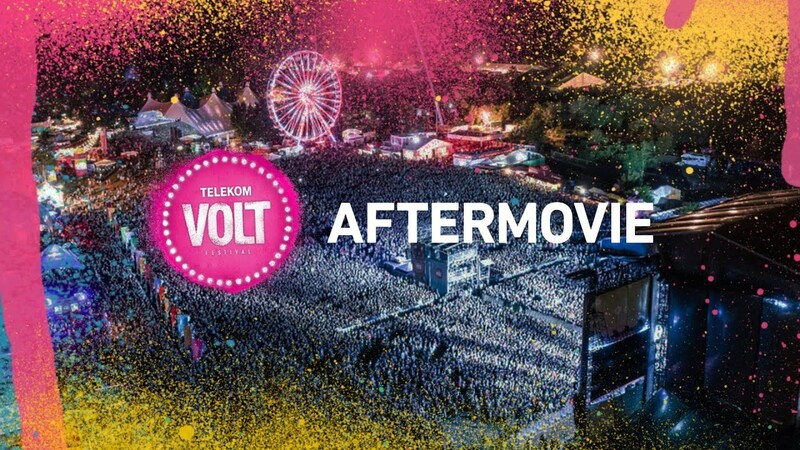 VOLT Festival is back in town! The festival is organized by the same organization as the Sziget Festival. Therefore, former Szitizens will recognize elements, such as the foodtrucks, the bungeejump and the Festipay card system, for sure. In first years of the festival there were mainly Hungarian acts on stage. Nowadays, the line-up mainly consists out of big international headliners (more than 130 artists in total!). VOLT festival takes place at a local camping, a 30-minute walk away from the city Sopron. The climate can be described as typical European continental influenced climate with warm, dry summers and fairly cold winters. The city centre of Sopron mainly consists out of 15th-century architecture, since the city is build on the fundaments of the Roman city Scrabantia. Sopron is not very big, but you can find multiple restaurants and wine- and beer basements. You can use the Tisza-VOLT Festival Bus to get around in the city. Together with Interrail, Festival.Travel offers the opportunity to travel through whole Europe. With an Interrail Pass, you have unlimited train access for a certain period within 30 European countries. Make your festival holiday more adventurous and a bigger experience by traveling by train. How to book your Interrail Pass? If you want to book your Interrail Pass in combination with a festival ticket, stay and/or extra services, you should book it in the ticketshop at this page. Booking the Interrail Pass on the Interrail website is possible at the Festival.Travel x Interrail webpage. The fastest way to travel to VOLT Festival is a plane to Vienna, Austria. In cooperation with Cheapflights we help you find the cheapest flights. The website compares every flight and will select the most favorable offer you can get. Be aware of the limited luggage space, especially when you have to take tents e.g. with you. Travelling by car to a festival gives you freedom when and where to do pit stops and perhaps include some sightseeing while on the road. If you have some free seats left or looking for a ride, there are several website you can check out. Sharing a ride is a great opportunity to connect with people and share your journey costs. Keep in mind that during the ride you will pass several toll roads. At most of these check points you can pay by credit card, but we would still advice you to bring cash with you. VOLT 2018 takes place from June 26 to June 29, 2019. When can I enter the festival site? Festival Passes are valid from June 26, 2019 2:00 PM to June 30, 2019 8:00 AM. When does the festival end? The last acts will perform during the night of Saturday June 29 on Sunday June 30. Everyone is requested to leave the festival site on Sunday morning at 8 AM. What is the minimum approved age of a VOLT visitor? VOLT Festival does not know a minimum approved age, but children below 14 years old cannot enter the festival terrain without the guidance of an adult. Children below 11 years old are allowed to enter the festival for free. How can I pay at this year’s VOLT Festival? The only way to pay at the VOLT Festival is with the Festival card. This electronic currency can be picked up for free at one of the many charging points. Here, you can top-up the pass with cash or debit/credit cards. What is the exact location of the VOLT Festival? Kőszegi út 35, Sopron, Hungary. All tickets carry my name since I’m the one who made the order. Is this going to a problem for my friends? On the tickets you can find the name of the person who purchased the tickets, not to whom the ticket belongs. As the tickets are scanned at the entrance of the festival, the barcodes will get checked to verify the tickets’ validity. Subsequently they can check the system to check the name of the ticket holder. Does a ticket change its’ owner? Please let the ticket provider (Paylogic) know by mail customerservice@paylogic.com. No, Festival.Travel is not permitted to accept or change returned tickets, but it is possible to sell your ticket to someone else. Would you like to have more information on reselling your ticket, or planning to do so? Please contact clientservice@festival.travel. What is the currency in Hungary? The official currency in Hungary is the Forint (HUF). The rate of exchange is at the moment 389 HUF / 1 PND. 307 HUF / 1 EUR. To which time zone does Hungary belong? CET – Central European Time / European Central Time (Standard Time). What are the phone numbers of emergency services in Hungary? Do I have to bring a passport or identity card? In Hungary it is sufficient if you have an identity card with you. What kind of plugs do they use in Hungary? In Hungary they use European plugs, so you don’t have to bring universal plugs. You can drink water from the tap, as long it is not indicated you can’t. Ask your question via the contact form. We’re happy to help you with your choice! Could this be something for you?